You will never drift to your desired destination. Direction is more important than time. Are you wanting more purpose in your days? Have you ever set goals … and forgot where you put them? Do you often wonder how to connect the “big picture” with your life today? Ever question whether you are doing the right things? Do your priorities get lost in the shuffle of everyday “stuff”? If you answered “YES”, then now is the time for action. 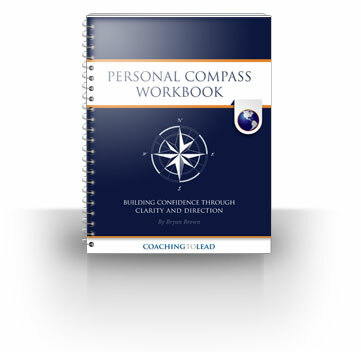 Developing your Personal Life Compass takes time and effort. However, the outcomes are worth EVERY MINUTE. Jesus said, “I came that you may have life and have it abundantly.” Abundant life begins with Him Jesus. Now you enter the challenge of living that life today. The reality is that few, if any, find success by accident. Living your purpose and convictions won’t just happen. Learn to live each day with greater intention and freedom. Priority living allows you to bring alignment with your purpose and convictions, increase productivity, and maintain margin. Purpose – Why am I here? Discover the larger story and how you fit in. Calibrating your Personal Compass will empower you to make better decisions and prioritize what has been entrusted to you. Be prepared to engage God, stretch yourself, and live with greater intention … and freedom!